OnabotulinumtoxinA is effective in migraine, not only headache frequency and pain intensity but also other health parameters including quality of life. Tolerability is high and benefit/cost analysis is favorable. It should be considered off-label in refractory trigeminal neuralgia and post-herpetic neuralgia but further research in these areas. Ongoing investigation of onabotulinumtoxinA in cluster headache is too preliminary for recommendation of use but promising. Recent and future developments in other headache disorders are discussed. OnabotulinumtoxinA has been approved for migraine almost a decade ago and been proven beneficial not only on headache parameters but other health outcomes. 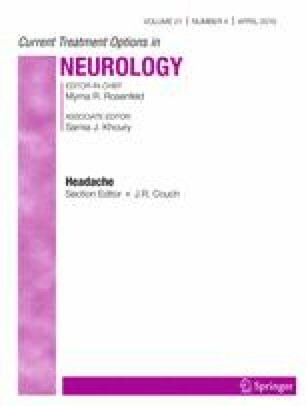 Its role as adjuvant is being studied and emerging in other headache syndromes. Marc Lenaerts is a member of Speakers Bureaus of Amgen, Allergan, and Teva Pharmaceuticals. Tiffany Green declares no potential conflict of interest.